(Victor Valley)—This February, Deadpool will debut on the big screen and further cement himself as a household name. But before that happens, Marvel has brought the online Infinite series, Deadpool & Cable-Split Second, to the printed page. Having not read the online miniseries, this first issue is my introduction to the series- and I am glad I decided to scoop it up. Written by Fabian Nicieza (Co-Creator of Deadpool and X-Force) is reunited with Reilly Brown from their Cable & Deadpool days to bring this miniseries to print. 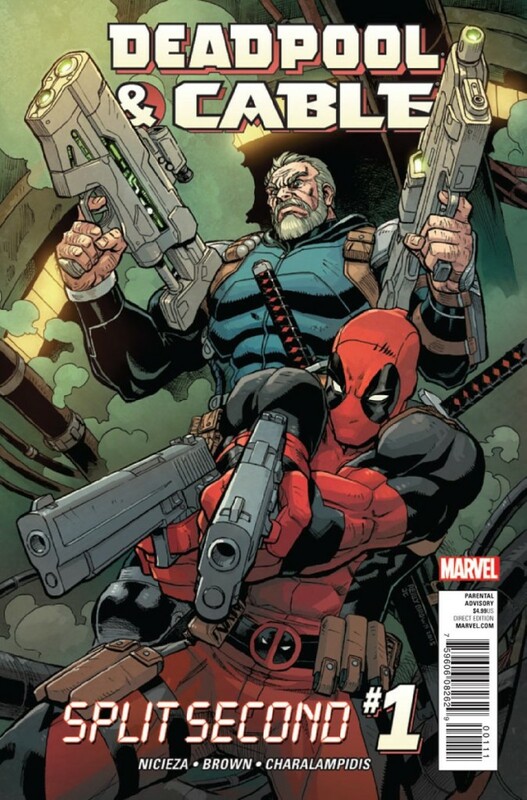 With this first issue, we see the reunion of the gun toting Cable and the Merc with a Mouth, Deadpool. Seems Cable has been having terrifying visions of the future, all created from the death of one man. As luck would have it, it’s the same man Deadpool was hired to rescue, and then kill. Work in a man with the ability to time travel, and we have ourselves an interesting story. With a cliffhanger that shows how precious one second can be, this is going to be a fun ride. This series feels so natural for what it is, which makes sense as the team behind it are so well vested in both Deadpool and Cable. We see what makes Deadpool so popular- the ultra violent fight scenes, the yellow word bubbles, the off the wall characters (Hydra Bob!). For Cable, we see a somewhat de-powered version of the mutant, but in no way less threatening. For me, what makes this issue shine is the sheer “Deadpoolness” of Deadpool, if that makes sense. Sometimes Deadpool doesn’t come across as the wise cracking psychopath we all love when it comes to miniseries- but we get the off the wall craziness with Split Second, including Apollo Creed jokes and all. 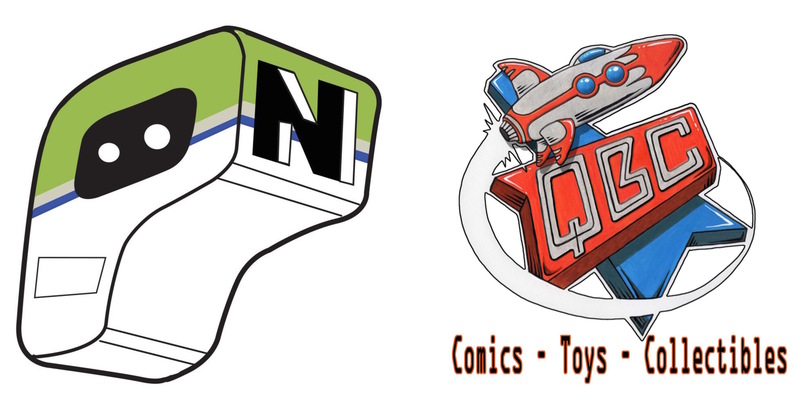 I loved the first issue- I know many have already checked out the series via the online version, but I loved going page by page of the printed first issue. This is a great example of the not so dynamic duo of Cable and Deadpool, and why these characters stand out so much in the crowded Marvel Universe.